Picture just after 4 hour smoking on grill. Picture after finishing in oven for 3 1/2 more hours, resting, then slicing. 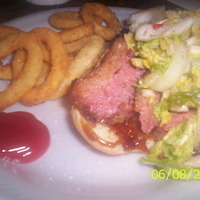 I served mine with a doctored BBQ sauce, hotdog rolls, an original Asian slaw and onion rings! 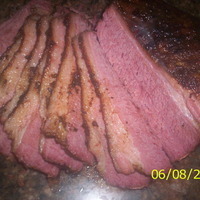 The flavor of this brisket is amazing!! 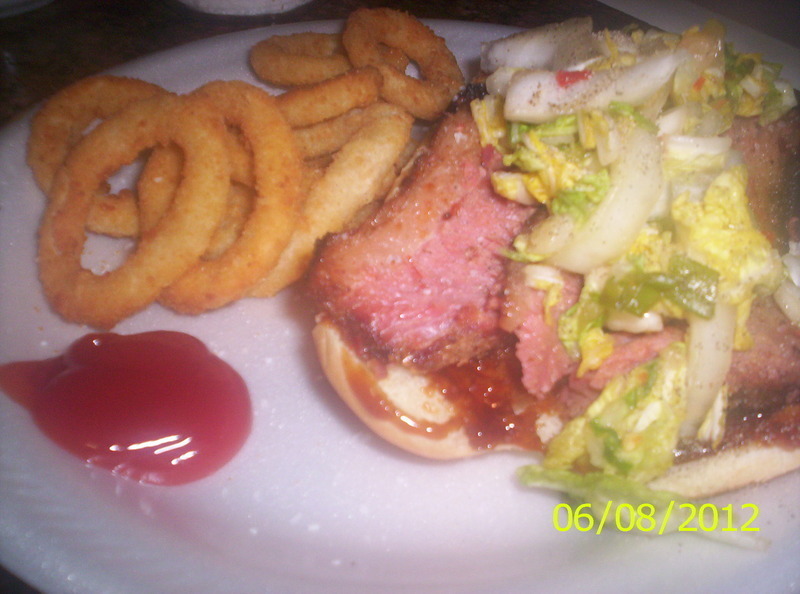 This recipe turned out fabulous even though I used a corned beef brisket instead of the traditional brisket. 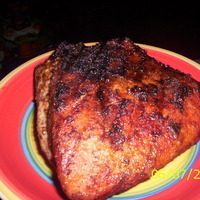 I created a wonderful spice blend especially for grilled meats and coined it Neillio's Grub Rub. 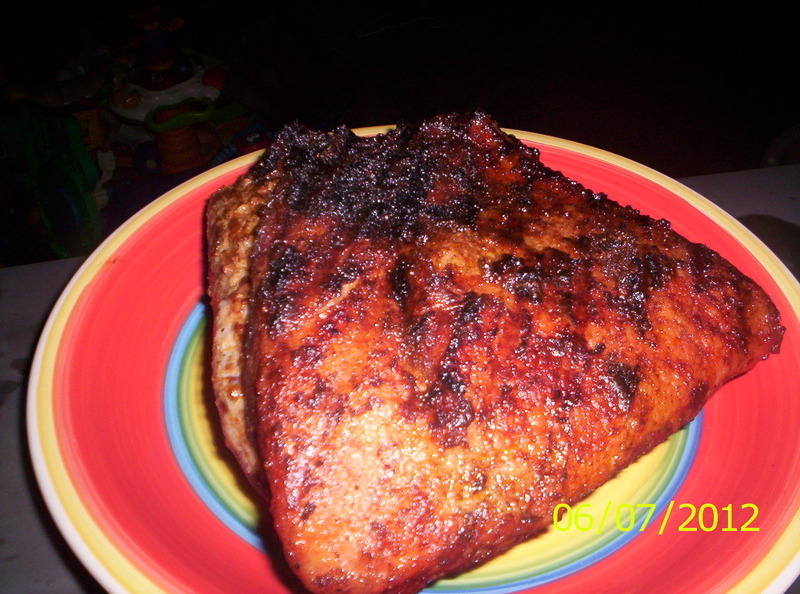 Let the brisket marinate in the rub for 1/2 day to 24 hours. I used both the grill and the oven for this recipe and feel great about it. 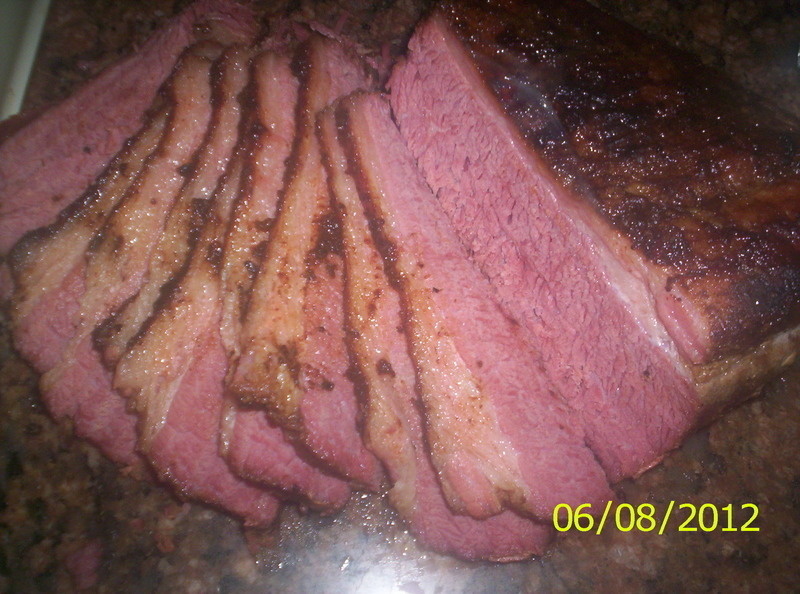 That way I could smoke the brisket one evening and finish it off for before mealtime the next day! This method made more sense for my schedule. I hope you enjoy this recipe as much as my family and I did. I also served this brisket with a warm Asian Slaw that worked magnificently. Combine all the above ingredients until well blended. Taste to make sure. Rinse and pat brisket dry. 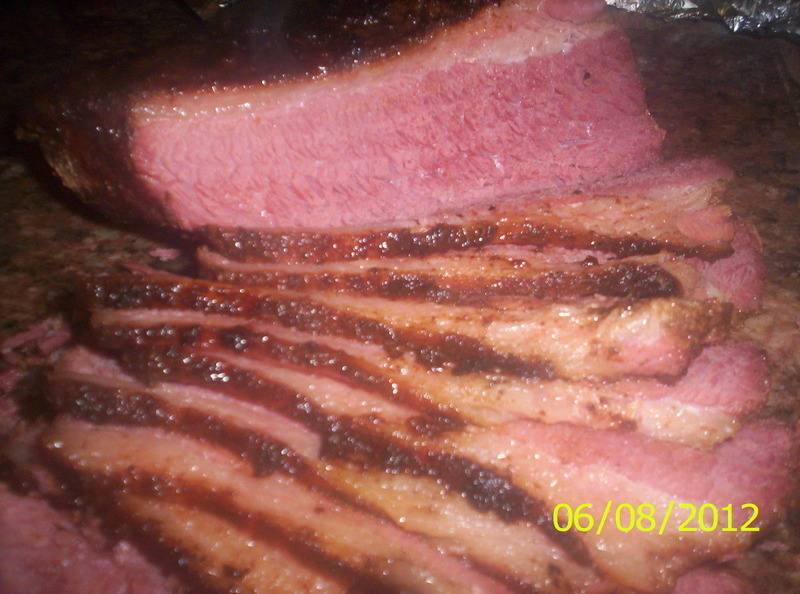 Sprinkle brisket with 2 tbsp. and up to 3 tbsp. of spice blend and drizzle with olive oil. 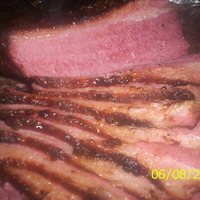 rub brisket vigorously and place in large resealable bag, pressing out excess air. Let stand at room temperature for 1 hour and refrigerate for 6 to 24 hours. When ready, place on hot grill with desired smoking medium and sear on both sides over direct coals. When both sides are nicely seared, smoke using indirect heat for 4 hours. Remove from grill and wrap tightly with heavy duty foil and finish in oven at 350*F in a cast iron skillet, with a about 1 cup of water. bake until fork tender, about 3 1/2 hours. Let rest before cutting, about 15 minutes. Serve with favorite BBQ sauce. I'm going to make some sandwiches with this recipe, because I LOVE corned beef. What an interesting variant for traditional corned beef, just by the rubs ingredient call and properties searing and smoking will add, I can taste the complimentary flavors already. This is on the menu for new years, with polish cabbage rolls, asparagus maybe fried green tomatoes and okra? something good will pop into my head. What an interesting variant for traditional corned beef, just by the rubs ingredient call and properties searing and smoking will add, I can taste the complimentary flavors already. This is on the menu for new years, with polish cabbage rolls, asparagus maybe fried green tomatoes and okra? something good will pop into my head. I compliment your imagination and resourcefulness, Thank You.